It was an historic day at Greenwich Park. Less than 24 hours after the British Show Jumping Team won it’s first Olympic Team Gold medal in 60 years, the British Dressage Team won it’s first Olympic medal ever, and it was Gold. They finished on a score of 79.979 to win Gold over Germany. The Netherlands won Bronze. The US Dressage Team made a valiant run at a Team medal at Greenwich Park with some strong performances. They ended up sixth on a score of 72.43, behind Great Britain, The Netherlands, Germany, Sweden and Denmark. 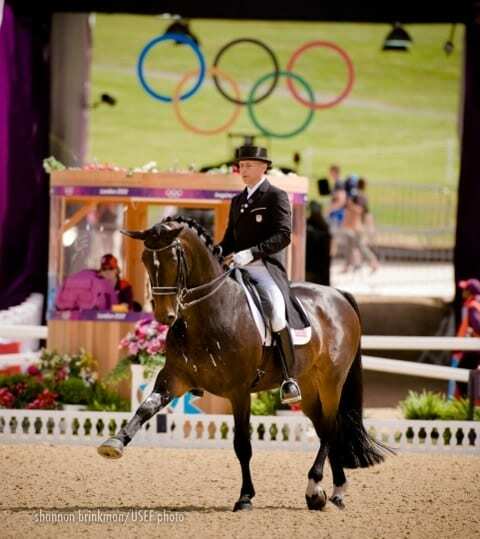 Steffen Peters led the way for Team USA scoring 76.25% to place seventh overall in the Grand Prix Special with Ravel. 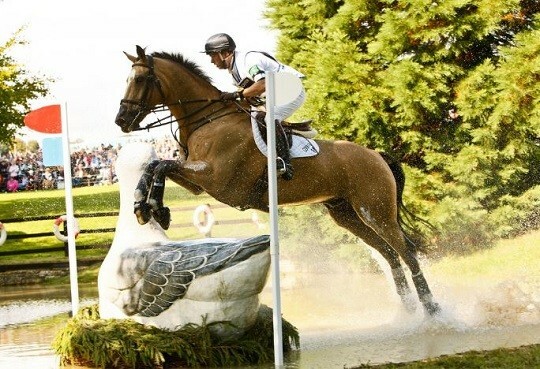 Peters rode last for the US Team, and he did everything he could to fight back into Team contention. 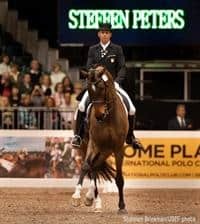 Together with Four Wind Farms’ 14-year-old Dutch gelding, Peters was fourth Individually at the 2008 Olympic Games. He will look to go better than that in the Freestyle on Thursday, which will decide the Individual medals. One mishap marred an otherwise lovely effort by the veteran pair in the Grand Prix Special, when Ravel stumbled at the end of the test after the first canter pirouette meaning he started his one-time changes late. Peters managed to pull off the movement despite the mis-step.”Without that (stumble) it would have been right around a 78% which is right about where he has been (in this test) his whole life,” said Peters.The rest of the test was textbook Ravel. The veteran went to work and moved through the test with ease. Ravel has been undefeated in 2012, but Peters knows that to win an Individual medal in the company they’re keeping at these Olympic Games will be no small feat. He also knows that Ravel is close to the end of his career although no official announcement of his retirement has been made. Peters has no expectation for the freestyle other than the hope that Ravel can put in one more test of a lifetime. Tina Konyot preceded Peters into the ring on Calecto V. This pair have had a long career together and although they have a great track record, a few small mistakes kept them from the scores of which they are capable. 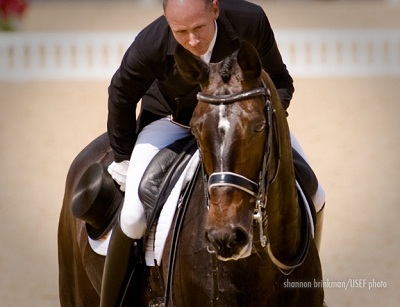 The 14-year-old Danish Warmblood stallion is co-owned by John Byrialsen. Their test suffered from a mistake in the one-tempi changes and a transition from piaffe to passage that wasn’t as good as Calecto’s capabilities. They scored 70.65% for 25th place. “We had some mistakes but there were some very nice things,” said a visibly disappointed Konyot after her test. Jan Ebeling got the day started on Amy Ebeling, Beth Meyer and Ann Romney’s 14-year-old Oldenburg mare Rafalca. They put in another consistent effort, scoring 69.30% for their lead-off test. 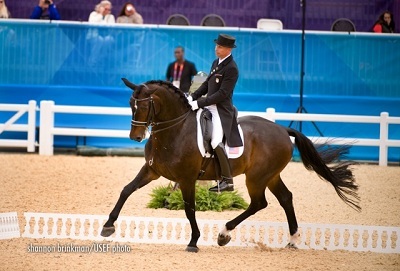 Since Romney, whose husband Mitt is making a presidential bid, Rafalca and Ebeling have been at the center or a flurry of media attention for the sport of dressage. Ebeling is pleased with the fact that the sport’s profile is on the rise. The Freestyle is the last Equestrian competition of the Games. Peters and Ravel are one of 15 combinations going forward.